Log into your account and visit the referral page for full terms & conditions. Navigate to the refer a friend section of your account page and copy the unique referral link. This can be easily shared by email or social media. Once your friend has signed up via your unique link they’ll unlock their £10 discount. This can then be used when making their first purchase, as long as it’s over £50 you’ll receive 10% of the sale value. You’ll have 90 days to use your 10% credit. Follow the referral link and sign up for a new account. You’ll receive a £10 voucher to use for your first purchase. Make your first purchase within 30 days of sign-up and spend over £50 to unlock your friend’s referral bonus. 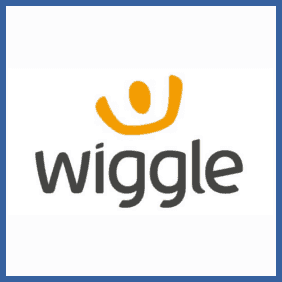 Cycling and Tri-Sports retailer Wiggle want you to recommend them to your friends and family! Successfully sign up a new customer and, if they spend over £50, you’ll get 10% of the value of that purchase. To sweeten the deal the new customer will get a £10 voucher to use on the site. Try the comments section below.